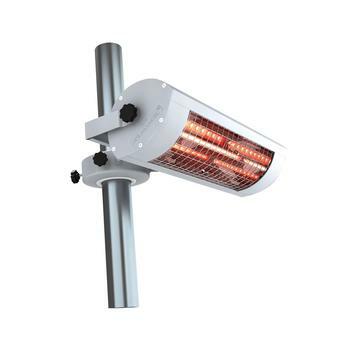 Our most diverse selection of outdoor heating solutions, infrared patio heaters come in all shapes and sizes, and can be mounted almost anywhere. 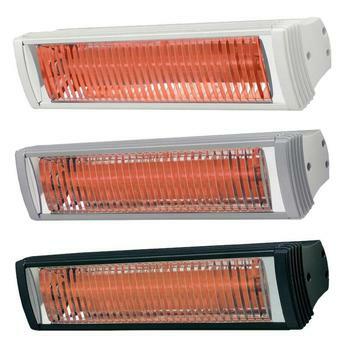 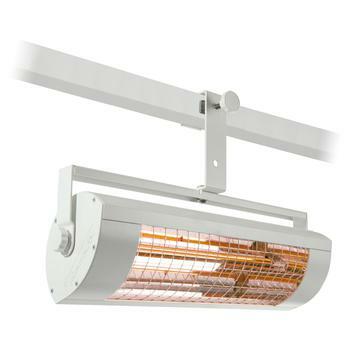 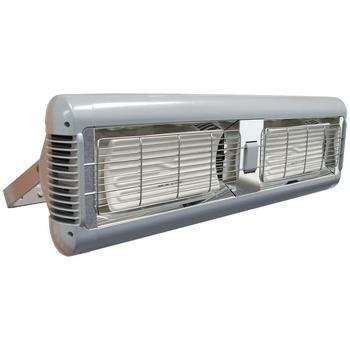 Unlike traditional heaters, infrared patio heaters waste no time or energy heating outdoor air. 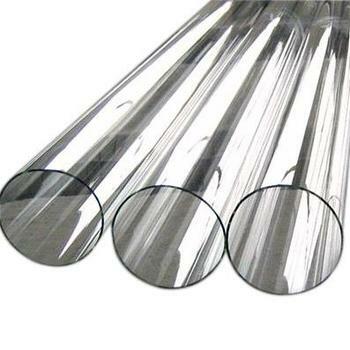 Instead, their electromagnetic waves transfer heat onto nearby solid surfaces at, quite literally, the speed of light. 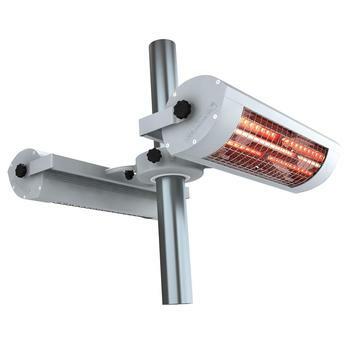 Infrared patio heaters therefore use less energy and cost less money to run than more conventional or gas counterparts, making them the perfect choice for all-day outdoor heating, pub gardens and smoking areas. 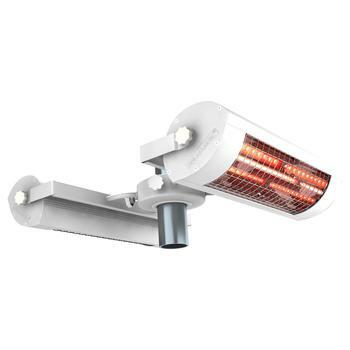 Producing warm, comforting heat at the flick of a switch, infrared patio heaters are an incredibly speedy way of heating your outdoor areas. 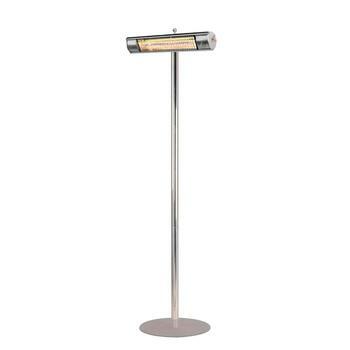 Instantly beaming a welcoming path of warmth, they enable guests or customers to feel the benefit straight away, then remain warm and cosy as long as you need it. 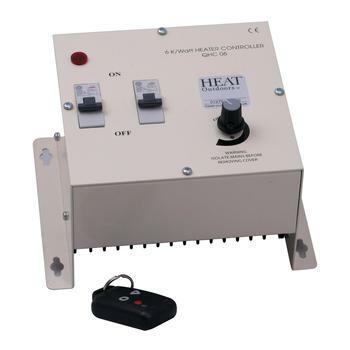 Combined with soft-start timing controllers they can be put to effective use to gently introduce warmth and configure with or without remote control for ease of use anyway. 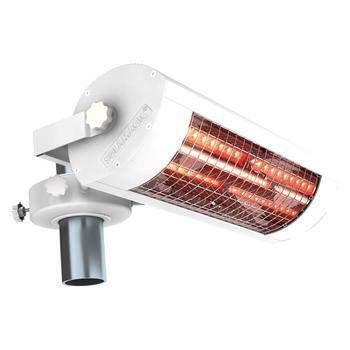 Unlike gas heaters, our infrared patio heaters aren’t weighed down by a large gas canister, so they’re much lighter and come with a more versatile range of mounting options. 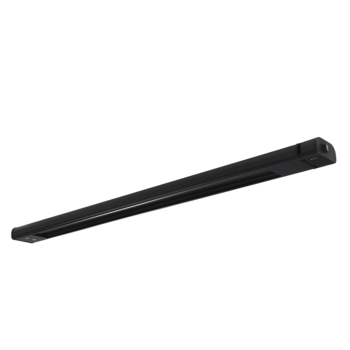 They’re quick and easy to install just about anywhere – from external walls and parasols to wide-open spaces. 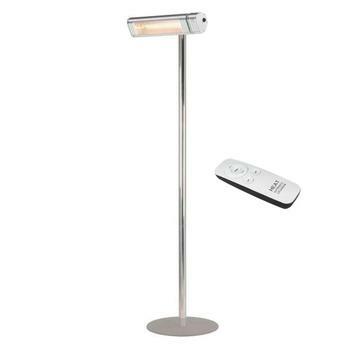 Because they’re are connected to mains electricity, they benefit from handy technical features such as bluetooth controls, lighting systems and even integrated speakers. 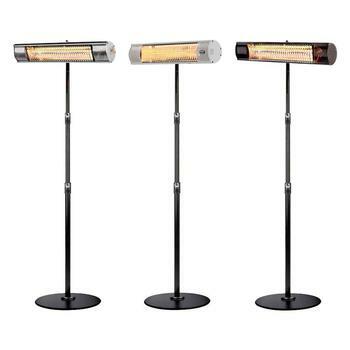 Ever wished you could make your party atmosphere stretch outdoors? 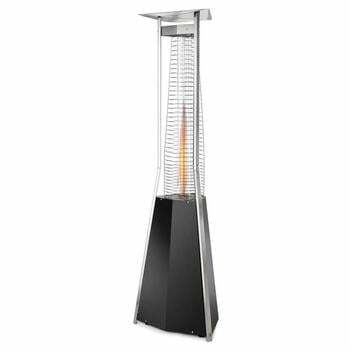 Well, now you can with our very own Shadow Heat and Beat Patio Heater with integrated bluetooth speakers and backlights. 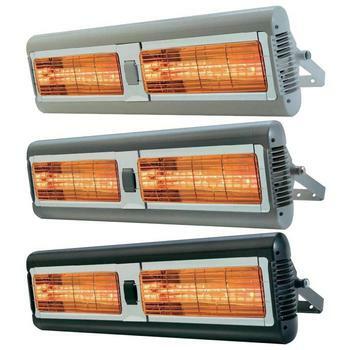 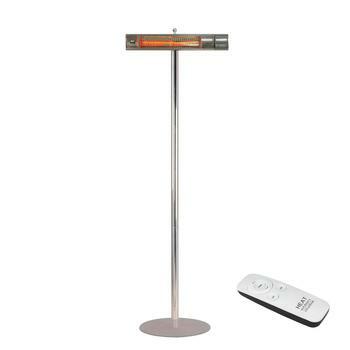 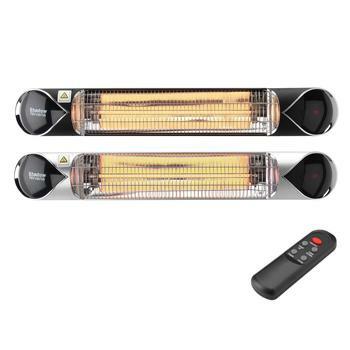 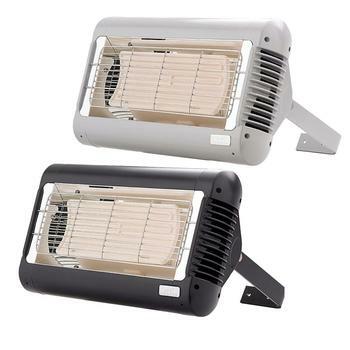 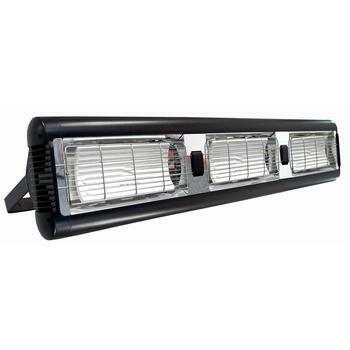 Which are the most popular infrared patio heaters? 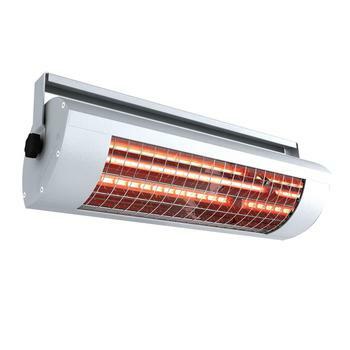 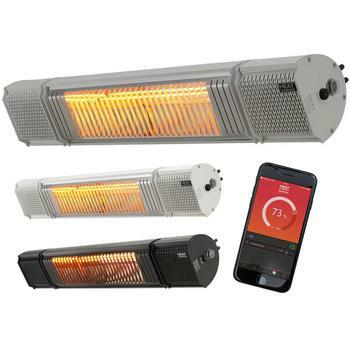 Instant, skin-tingling warmth at the click of a button – infrared patio heaters are gaining great popularity with businesses, tradesmen and homeowners around the world. 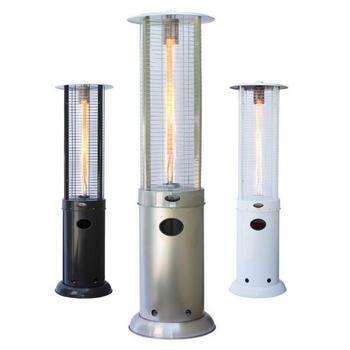 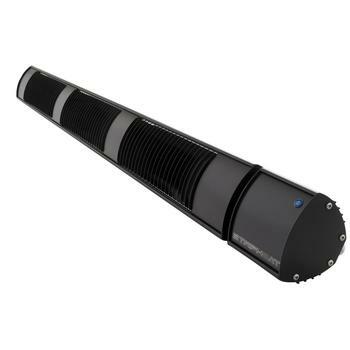 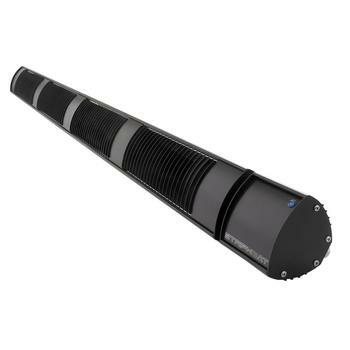 Without the need for a heavy fuel canister, infrared models are much lighter than gas-powered heaters, and they can easily adapt to suit a wider variety of outdoor settings. 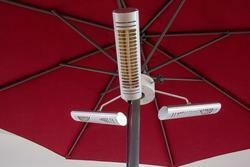 Come rain or shine, parasols are a nice touch in a pub garden or outdoor bar area. 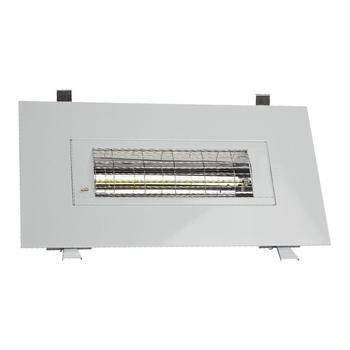 Better still, they provide a discreet place to attach a compact outdoor heater, keeping your outdoor aesthetic stylish and clutter-free. 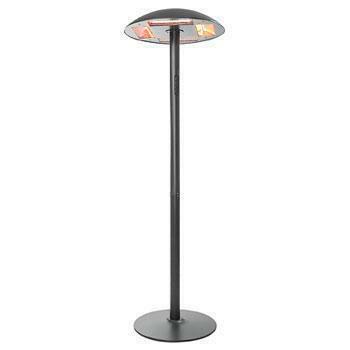 Ideal for comfortable outdoor eating, infrared parasol heaters are mounted in the centre of a parasol system, meaning they shine their warm glow directly onto diners. 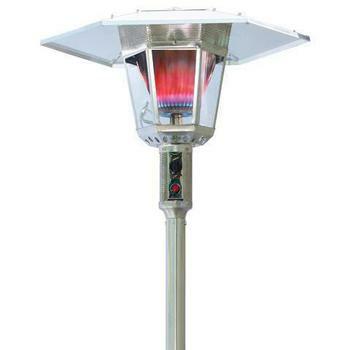 Parasol heaters are also extremely adaptable. 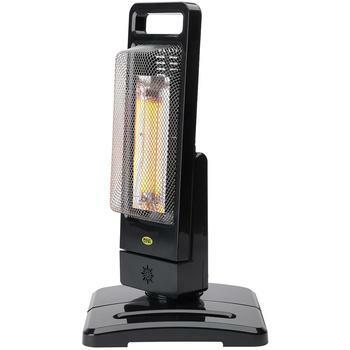 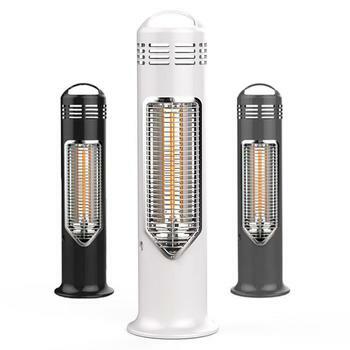 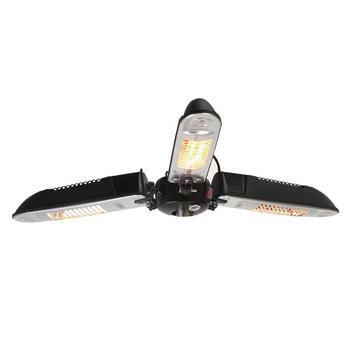 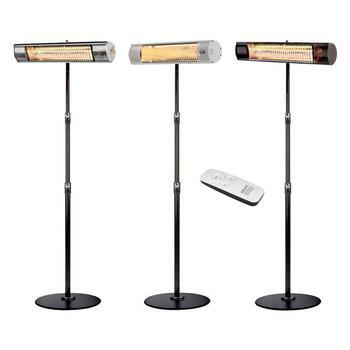 When there’s a wintry chill in the air and two heat lamps aren’t doing the trick, low-glare models such as the Solmagic quadruple parasol heater will bring double the warmth to the table without casting an overpowering glow. 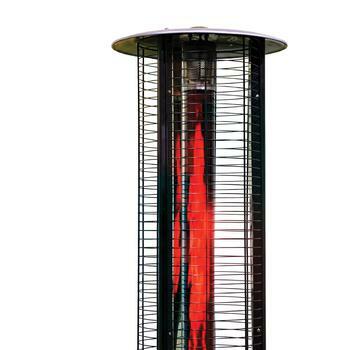 Suitable for indoor as well as outdoor use, tower palm heaters are a great idea if you want the windows open without feeling the draught. 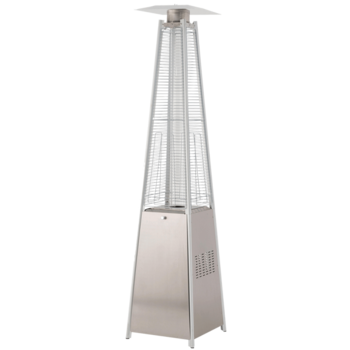 Beaming out in four directions from a sleek, floor-standing base unit, the Burda TERM tower palm is perfectly suited to any open space where occasional heating is required. 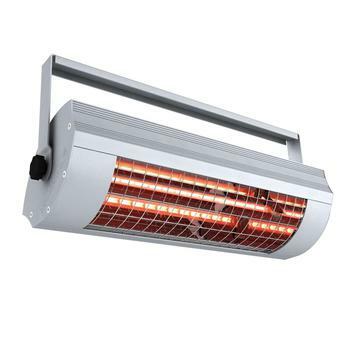 Made from ultra-lightweight powder coated aluminum, this infrared heater can be moved, picked up and stored away with minimal effort – ideal for locations which don’t allow for ceiling or floor-mounted devices. 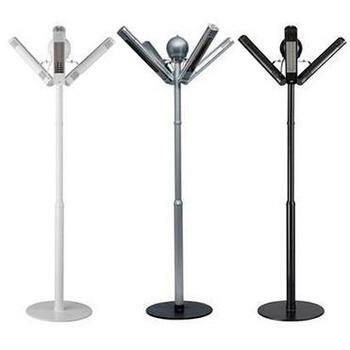 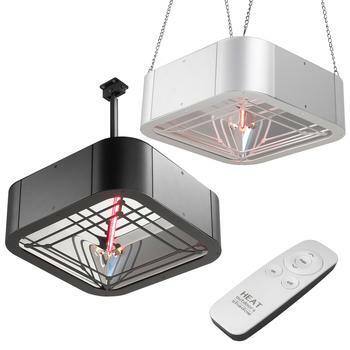 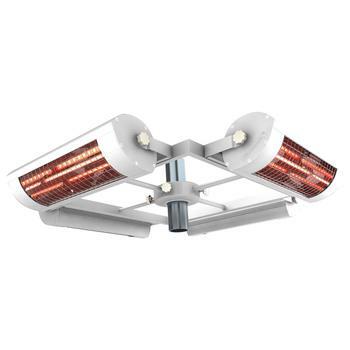 Designed to be discreet, pendant infrared heaters often look more like a stylish ceiling light than a patio heater. 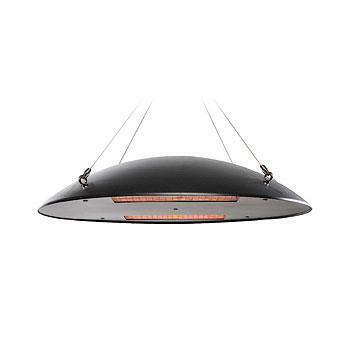 Models such as the Solmagic Pendant Sundowner are ideally situated in older buildings such as cathedrals, churches and community halls, where preserving the architecture and keeping people warm are equally important. 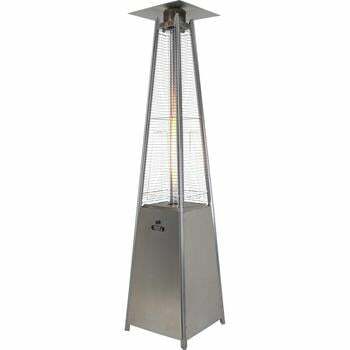 The Sundowner can be used indoors or outdoors, and can be hung from an open-air structure like a trellis or gazebo. 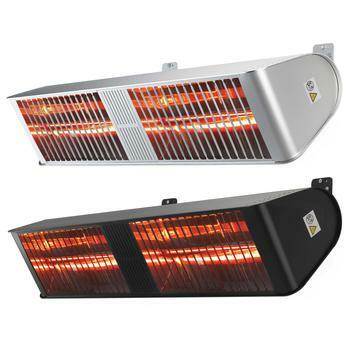 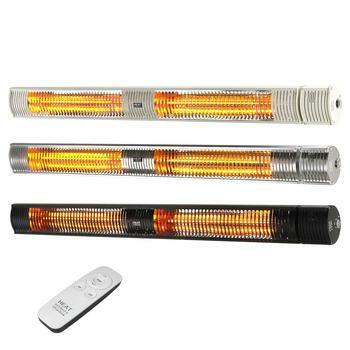 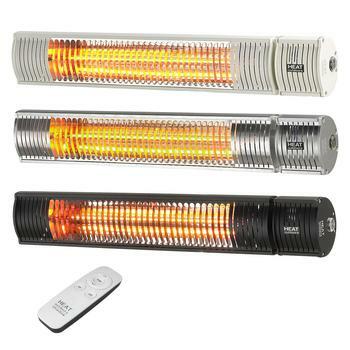 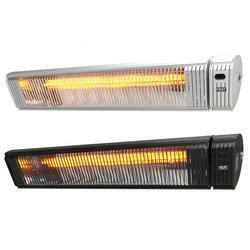 Are infrared heaters better than gas? 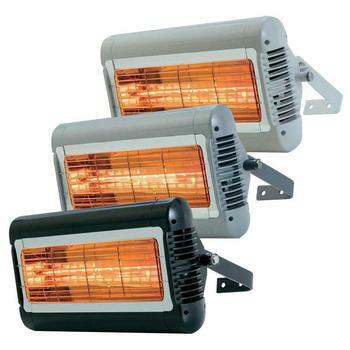 We’re passionate about patio heaters of all kinds, so when it comes to weighing up the benefits of infrared versus gas outdoor heating, we know it often give you a hard time deciding which is best. 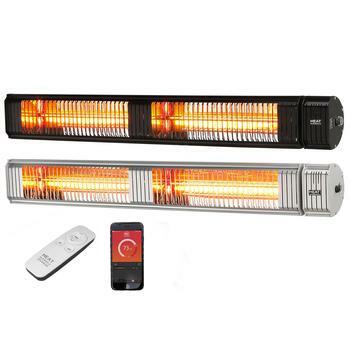 There are many great benefits to using gas heaters but here are some of the major advantages that infrared heating technology holds over its gas-fuelled equivalent. 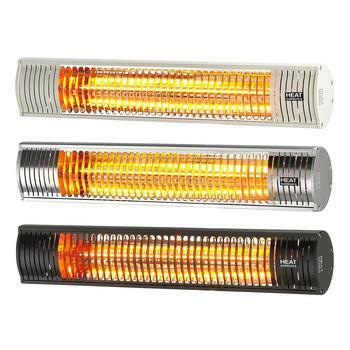 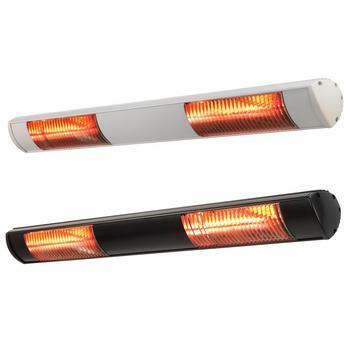 Infrared and electrical heaters can operate in complete silence, whereas gas heaters are physically burning fuel, they’re known to make a bit of noise in the process. 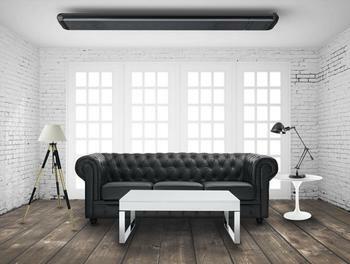 If you’re looking to create a noise-free or completely peaceful environment, an infrared heater could be just what you’re looking for. 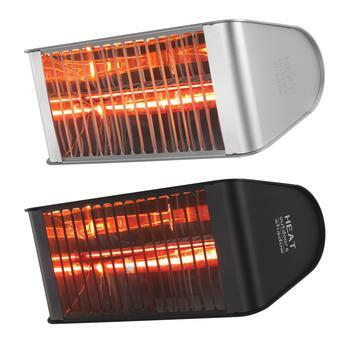 Gas heaters can be cheaper to buy than their infrared counterparts, but they can guzzle larger quantities of fuel over comparatively short periods of time, which can add up to a hefty re-fuelling bill. Although electricity costs more per unit than gas, it can be a more economical solution if you want to use your patio heater for long periods of time or more frequently during the year. 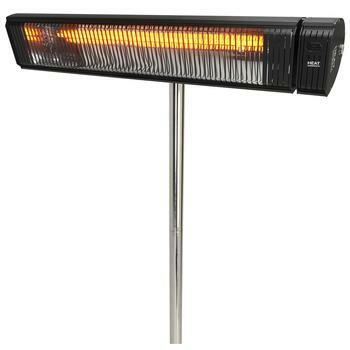 This is because infrared models require around 60% less power to produce the same feeling of warmth over the same amount of time. Thanks to a greater rate of fuel consumption, it’s common to have to replace a gas heater’s canister during a long evening outdoors. 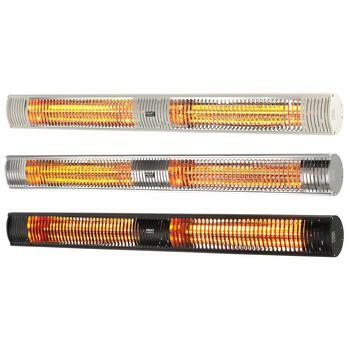 That’s why it’s important to keep spare gas canisters in stock, just in case. 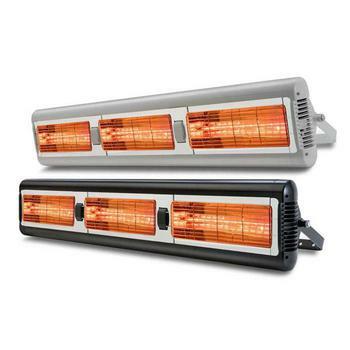 Since infrared heaters are hooked up to the mains, you’ll never run out of fuel or need to stockpile replacements (which also means you’ll save on cupboard-space!). 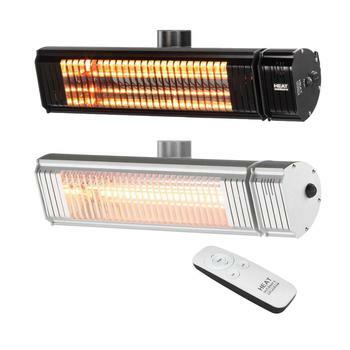 Coming to life at the flick of a switch – or in the case of the Shadow Remote ULG heater, at the tap of a remote control – infrared patio heaters are a fuss-free innovation. 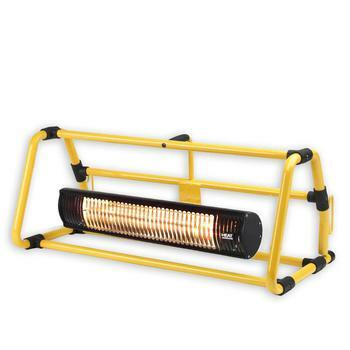 Heat is provided instantly, so you’ll never need to fiddle around with a canister or reconnect a fuel line. 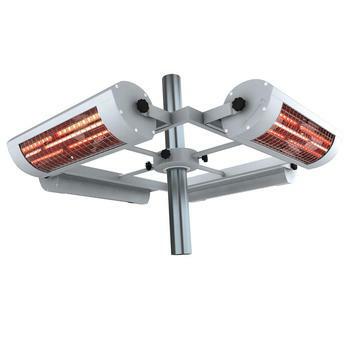 Unaffected by gusts of cold wind, you always feel the benefit of an infrared heater, making them an ideal solution for less predictable climates like the UK. 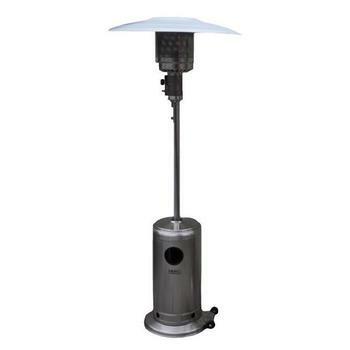 By comparison, the heat from gas models is often deflected in breezy conditions, making them a potentially less consistent heat source for your outdoor space. 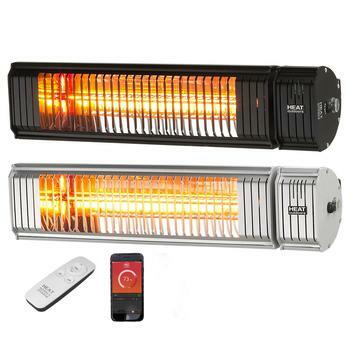 Because flames consume fossil fuels directly, and at a much faster rate than electrically generated heat, an infrared heater is arguably more environmentally friendly than a gas patio heater. 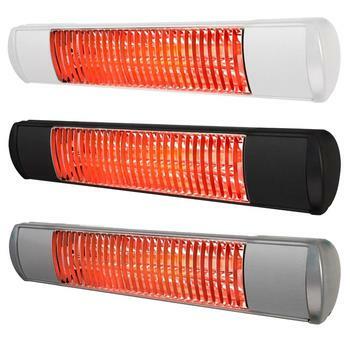 Infrared heating can be super efficient, so while you’re doing your bit for the environment by cutting back on fossil fuel consumption, without the cost of replenishing gas canisters, your household or business overheads will also be lower. 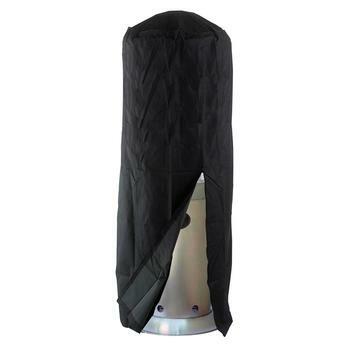 Without compromising on convenience and in many cases greatly improving the accessibility and coverage of heat across your area.